All of the laundry equipment chosen for our stores is the most energy-efficient available. Each store uses about 1/2 the electricity, natural gas, and water of a typical laundromat. Everything down to our LED lighting was carefully chosen to ensure minimal energy consumption. You can do 80 pairs of jeans, bulky bedding, or large rugs! Do the whole family's laundry in just 1 machine! You can get 50-lbs. of laundry in one of these Express Machines done in under a half-hour. You can wash 40-lbs. of laundry in these mega washing machines! Big loads, large items, not a problem. Get the best cleaning ever for your smaller loads. Put your largest bulky items or all your family's laundry in just one dryer. Move a ton of air through your clothes to dry them fast, but still be gentle on them. All of our dryers allow you to add time with each quarter or token. Our state-of-the-art Culligan water softening system means you get the highest-quality water to clean your clothes. Soft water gets your whites whiter, your clothes brighter, and is more gentle on your fabrics. Soft water also lets you clean your clothes using only 1/2 the amount of detergent—huge savings for you. Our hot water is hot, not lukewarm. 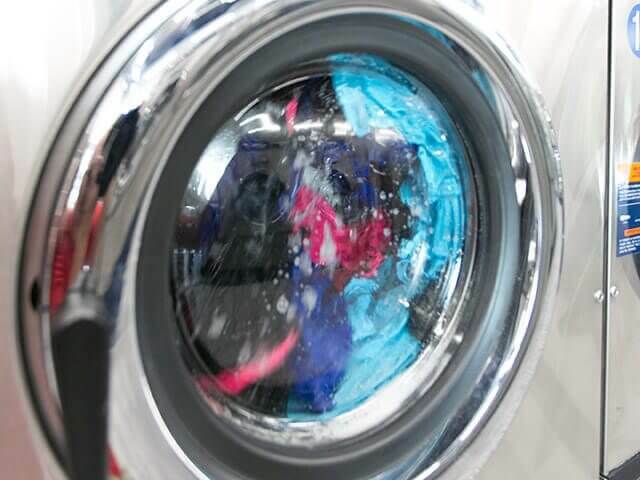 Each Clean Laundry laundromat has multiple state-of-the-art, energy-efficient water heaters to keep up the demand even at the busiest of times. Hot water cleans clothes. When you pay for hot water, we make sure you get it.